Kasey Buhl teaches Reflexology classes at our Baltimore MD location. 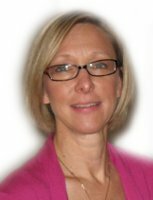 Kasey Buhl, AAED (American Commission for Accreditation of Reflexology Education and Training Accredited Educator) has been a massage therapist since 2000 and a Certified Reflexologist since 2006. She is Nationally Certified in both Foot and Hand Reflexology and has enjoyed teaching for Baltimore School of Reflexology since 2007. She is a member of RAA (Reflexology Association of America) and a director for the Maryland Reflexology Association. She is an Accredited Reflexology Instructor. Kasey is trained in Korean Hand Therapy and Thai Reflexology. 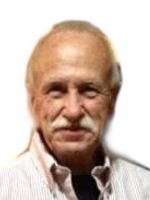 Bob Buhl is an assistant teacher of Reflexology classes at our Baltimore MD location. Bob Buhl is the Assistant for the Baltimore School. He is a retired steel mill worker who began his career in reflexology in 2012. He is a certified reflexologist. He has been assisting with the Baltimore Classes since 2013 and now assists Kasey, his dear wife. Reflexology classes at our Southern Maryland location are taught by Sarah Strain. Sarah Strain is the director of our Southern Maryland Location. She is a graduate of Towson State University. She is a former private dance instructor of 15 years and a public school educator for 12 years. Her reflexology education began under Catherine Vestraci. Sarah completed her basic training in May 2012 and promptly pursued ARCB Reflexology Certification in 2013. She continued her reflexology education in Pain Control, Stress Reduction & Integrated Foot Hand Ear Reflexology for Musculoskeletal Issues and Pain with Bill Flocco. Sarah has completed 12 credits towards her Raindrop Technique Certification. She currently offers reflexology services from her private studio in Port Republic MD, Senior Center in Calvert and St. Mary’s County’s, Nature’s Way to Health in Prince Frederick, MD and through private and corporate events. She is a member of the Maryland Reflexology Association and the Reflexology Association of America. Our Mission is to provide the absolute pinnacle of reflexology training. Our Mission is to help our students learn the benefits and proper techniques of reflexology, enabling them to help themselves, family, friends and thousands of their neighbors who are currently suffering many pains and anxiety. Our mission is to help our students pass the reflexology certification testing. Our mission is to produce future leaders in reflexology. The Baltimore School of Reflexology came about through the hard work and dedication of Chari Moye. 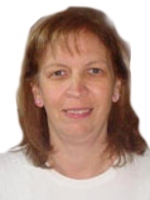 Chari was certified to perform reflexology in 1971 and again 15 years later in 1986. Through more than a decade of research, she discovered monumental differences in the way reflexology was being taught. It soon became her goal to make an easy to learn and effective reflexology course. She took the most effective techniques from all of her educational experiences and combined them into one easy to learn method of reflexology. Chari wanted a program that included personal touches, like her students being able to share their personal experiences and testimonials. She also knew the importance of learning vital information about anatomy and physiology, ear reflex points and reflexology of the feet and hands. She wanted to create a place to learn reflexology and at the same time create a close knit community of reflexologist. Chari began to hold small classes throughout Baltimore. Some even taking place in her home, where she would cook lunch for her excited, eager students. Many of her students would ask how they too could become a certified reflexologist. It became her goal to help as many as she could learn and benefit from this 5000 year old method of pain management, reflexology. In October 2001, Chari officially registered the name Baltimore School of Reflexology with the state of Maryland. In 2003, the school was recognized by the National Certification Board for Therapeutic Massage and Bodywork (NCBTMB). She was given the ability to teach Continuing Education for NCBTMB classes. Chari felt that this endorsement made the school more "official". In the summer of 2004, Catherine Vestraci opened the first satellite class in Southern Maryland. Mayuri Sobti opened a second satellite in Washington DC in 2005. In March 2007 the Eastern Shore satellite class opened with Kasey Buhl teaching classes. Chari was excited to have had realized her dream of having reflexology schools throughout the state of Maryland. Unfortunately, Chari passed away in July 2008. The Baltimore Location would then be run by Annette Dill who had been teaching with Chari for more than 6 years. In November 2009, The Baltimore School of Reflexology changed ownership. The thriving reflexology school is now being represented by a team of competent, caring teachers who have joined forces to continue the vision of the Baltimore School of Reflexology. They are determined to stay current with the latest developments in the field of reflexology, assisting in updating the curriculum, and dedicating their time and talents to the future of reflexologist's throughout Maryland and beyond. Thank you for taking the time to visit us and we certainly hope that we will soon meet you face to face at one of our fun and exhilarating classes.